Honeywell International’s plan to spin off its turbocharger business will cause it to cut ties with a division with annual revenue of approximately $3 billion. 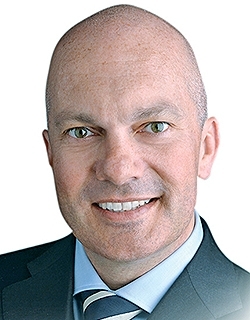 The man leading the turbo-heavy Honeywell Transportation Systems unit, Olivier Rabiller, welcomes the changes. He is also identifying ways to benefit from the move to autonomous and connected cars. The most recent example is the announcement that Rabiller’s business would collaborate with Lear on in-car cybersecurity to keep hackers out of tomorrow’s vehicles. Rabiller spoke about how this and more with Automotive News Europe Managing Editor Douglas A. Bolduc. How is the spinoff going to change Honeywell Transportation Systems division? As was the case before we announced the spinoff, we plan to remain a technology leader on the turbo side as well as fund our new growth areas. The spinoff gives us the opportunity to accelerate this because as an independent company you make our own investment decisions. The second thing is that we are the only business working in the automotive industry. There were no go-to-market synergies with the other businesses. Overall, the spinoff is a recognition that Transportation Systems is a successful business and it is in the best interest of Honeywell to position this business to be even more successful in the future. Your division has benefited from Honeywell’s aerospace division in a several areas including your move into electrification. Will that door close once the spinoff is completed? There are some details related to the spinoff that we cannot share until later. What I can say is that when it comes to electrification, it is true that when we re-started that journey two to three years ago we initially leveraged some of the skills from the aerospace business. Since then, we have become self-sufficient in terms of electrification. Today, we are developing our own controllers, our own software to manage the controllers and even the electric motor technology. We have 50 engineers working on state-of-the-art electric machines. That was not the case two or three years ago. If door to the aerospace division is closed, can you continue to succeed? Yes. But the door will not be closed. We will define the way it will work at a later stage. The timing is by the end of 2018. At this stage, I can’t say anything more. We will share more details when we have them. I’m not saying we have to change it. We will, however, have to define what our brand name will be moving forward. What are you telling your employees and customers to make sure there are no misunderstanding about this move? We have told them that the company doesn’t stop because it is undergoing a spinoff. By the way, only a very limited number of people inside the company are working directly on this. The rest are focused on delivering what our customers need and delivering the new technologies that we need for the future. There is no change in the way we operate. What percentage of people are fully engaged in the spinoff? It’s less than 10 percent. Main challenge: Diversifying the company so that it is less reliant on the internal combustion engine. How has being part of Honeywell helped your turbo-heavy business to this point? As we started to develop new technologies to prepare for the demand we saw coming for electrification and automotive software, we were able to borrow from the broad technology portfolio at Honeywell, which was already providing these technologies to other industries. This helped us develop our own competencies and skills, such as own software monitoring capabilities, so that they fit the auto industry’s needs. Our new software offerings include what we call IVHM [integrated vehicle health management] as well as cybersecurity applications. How is Honeywell Transportation Systems preparing for the move away from fuel-powered cars to battery-driven vehicles? We see electrification as an enabler and as an opportunity. With 48-volt electrical architectures, we start to have the power in the car that wasn’t there before. This lack of power was a limiting factor in the past. The level of power you can get into the electric machine is much higher. That makes a big difference. We have been preparing for this move for years by developing electric boosting solutions including e-compressors and e-turbos. Some of that work has been on display in Formula One. We continue to work with Ferrari on its hybrid powertrain. Why does it make a difference to have 48 volts? You've seen the emergence of superchargers or e-compressors, but the next big thing is to integrate everything because when you have an e-compressor, you still need a traditional turbo. That's a complex two-stage system with two distinct machines and all the plumbing that goes with it. One solution is an e-turbo that combines the units into a single product. An e-turbo not only uses the available electrical power to improve engine performance, but it can return excess energy back to the 48-volt system, which helps support the vehicle’s overall operation. We can leverage of some of our key technologies such as high power density, high speed rotation motors. When you're speeding up to 300,000 rpm, you need to have the technology to get to that point with an electric motor that still delivers 6 to 8 kilowatts. That's a big deal. You can adjust whichever way things go? That’s what we think. We have a very strong base of turbocharging machines that include e-boosters and also support alternative powertrains including fuel cells. We are convinced we have the technology to adapt to any changes. How will Honeywell fit into the world of cybersecurity? From the detection of the threat all the way to the remediation of the problem. There are all kinds of ways to remediate. You need to detect the threat and you need to move that threat into an established reporting process that has elements of automation and human analysis. Then you need to propose some remediation, which requires input from the automaker. There is some level of remediation that we can put into the vehicle already and some that can be fed from outside. Will you look after the entire car or just systems such as the engine management? We can do the entire car. That means monitoring all those conversations between subsystems, whatever they might be, from the infotainment to the engine. Our goal is to get to the point where we can monitor the health of the vehicle, whether it's cybersecurity, whether it's the way the vehicle is working. When you put that in perspective not only with connected cars but also with autonomous car, you would rather have someone that monitors the whole system. What do you want your customers to take away from this move into cybersecurity? That we are a reliable partner. We have spent the past several years learning from our Honeywell colleagues who have been providing these services to other industries for more than 30 years. When you are an established company, there is certain level of trust the customer has that you will be around in the next few years. That is not always the case with startups. 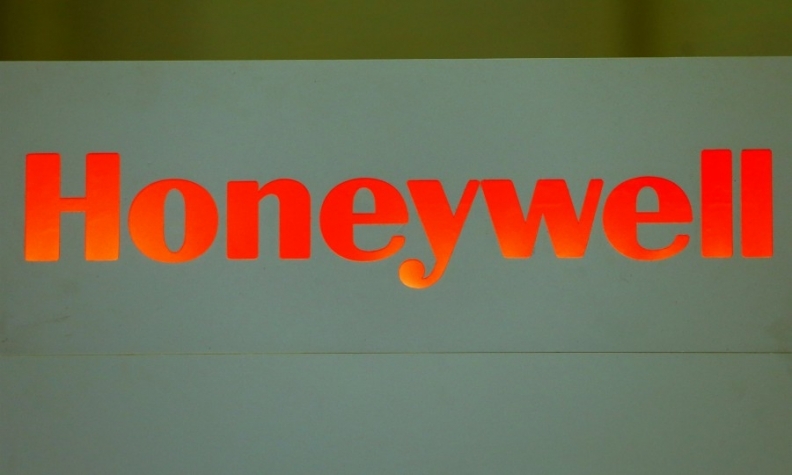 The cybersecurity process will be the same for Honeywell. We're not starting from scratch. We're serving an unmet need with things we already have. Is this going to change the way your company does business? Frankly, we are a technology company first and will remain a technology company after the spinoff. Our legacy of differentiated technologies is what has set us apart from many of the top-tier companies that are in the automotive field. Where will your future cybersecurity solutions best fit? The best fit is when you start implementing that from the development of a vehicle through the life of the vehicle. We’re going to start implementing that on fleets. We're starting a few pilots on big fleets of commercial vehicles. It takes you beyond turbochargers? Exactly. The mission for Honeywell Transportation Systems is to leverage our new technology portfolio for those automotive industry challenges that are not being addressed by the classic automotive players. Is this your answer to what you are doing on the connectivity side of things? Yes, it starts with this. It shows we have a wider reach in addressing the big megatrends affecting the auto industry today. What areas do you want to focus on? When you look at the needs, they are around efficiency. Therefore, we ask, How can we make the vehicle more efficient? How can we make this world more productive? How can we increase the security of operation of something? This really ties everything together. How many turbocharger launches do you do a year? About 100. In addition, any given point in time, we are working on between 300 and 400 engine programs. There are 300 to 400 in the pipeline and the pipeline is three to four years. What percentages of your sales come from turbos? Is it fair to say 80 percent? It’s the majority of our sales. How soon will your other division start to have an impact on your numbers? We are just starting with these new offerings, but you can see the potential when you visit any auto show. All the booths are focused on the move to autonomous and electric. That being said, we still need to keep making the rest of our activities more advanced. You see the ramp up related to the VNT [variable geometry turbo technology]. That's a big thing. I'm glad we are moving forward on that. The technology content on diesel engines to make them more efficient is increasing. That is why we have these solutions. We keep on advancing our core business and we keep investing in up-and-coming area at the same time. It's not one with the other. Do the new areas you’re pursuing have the potential to account to 10 percent of the business one day? They have the potential to be big. Could you put a number on it? No because then you’re putting a number on some trends that nobody can predict. I need to be presented some estimates on whether this will happen in five years, 10 years or 15 years. How is diesel holding up right now? Everybody's has a different view on this. It's true that we have some decrease in some countries. So far, it's pretty much in line with what we had predicted, which is a decline of 3 to 4 percentage points globally during our five-year business plan from a bit more than 18 percent today to 15.5 percent [in Europe, Honeywell foresees a drop to 38 percent by 2022 from 48 percent this year], which includes passenger cars and light commercial vehicles. But we don't see a collapse. We are committed to turbos and committed to electrification. We have solutions. We see this as an opportunity. We welcome the transformation.